There are loads of ways that the children can get involved here at Grange and have their say! A reading club and art club – we listened and have done it! New “quiet” area for the upper playground – we listened and now have a fenced off area with a canopy. We are about to have it astro turfed and we have purchased beanbags. More play equipment –we listened and each playground now has a set of games and book for the midday supervisors to use. Board games are in place for the children to play with on the upper unit since the university workshop was such a success. Having a song request board for assemblies – we listened and there is now a box made by the children put their requests into. How else do the children get involved? 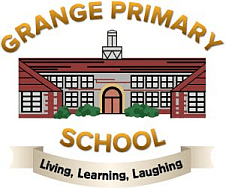 Getting involved in staff interviews, conducting show rounds for new parents/visitors, judging Grange Has Talent, running mini leaders, playground pals, tuck shop, Risk Assessors/classroom roles and responsibilities, leading university workshops, learning buddies, school council, pupil voice interviews, computer support during assemblies, music during break times. Our anti-bullying ambassadors did a survey during their duties. Click here to read their findings.